It’s almost here! It’s the most exciting time for Disney fans, as the Biennial D23 Expo is returning to Anaheim this weekend! There’s always tons of huge ride tributes, movie props, and of course the announcements! At D23 in 2015, we got confirmation and the first images of Star Wars Land coming to both Disneyland and Walt Disney World. 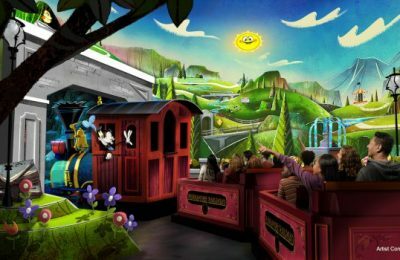 We got huge confirmation of Toy Story Land, and the Iron Man Experience at Hong Kong. But what does D23 have in store for Disney fans everywhere this year? We’ll find out on Saturday July 15th, during the 90 minute parks and resorts presentation. However, we’re like kids at Christmas, we want to get a sneak peek early…so we’ll do the next best thing. We’ll guess! What can we expect to see announced at this year’s D23 Parks and Resorts presentation? We’re going to break it down by park, and give you 23 things we think (and HOPE) that will be announced at this year’s D23. Disneyland and Disney’s California Adventure have had tons of rumors popping up lately. What can we expect? What will be announced? Fantasyland Expansion: This has been in the mill for quite some time, but it looks like we could see it happen in time for Disneyland’s 65th anniversary. What will we see in the expansion? Probably a huge reworking of the land around Fantasyland, and a huge new version of Frozen Ever After. The ride from Epcot could make an appearance in California, as Anna and Elsa bring Arrendelle to California. What else could we expect? How about Be Our Guest? The famed Beauty and the Beast restaurant that is so amazing, it’s hard to get a reservation for, could be coming to Disneyland. Marvel Land: This year, Guardians of the Galaxy were introduced to the former Tower of Terror as the first piece in the “Marvel Theme Park Universe”. There’s also been walk around characters such as Groot, Gamora and Star Lord. Not to mention, Captain America, Black Widow and Spiderman. Next up, we could see that entire area transformed into a Marvel area. Remember when Guardians opened? There was a mysterious vault in the ground with the Avengers logo on it. The new area could featured a long talked about Avengers indoor coaster, and even a replica of the Ant Man ride currently scheduled for Hong Kong, or even the Iron Man Experience. Whatever it is, will bring the first Marvel area by Disney to the United States. 50th Anniversary Celebration: Walt Disney World is coming up on 50 years in 2021. To celebrate there’s rumored to be a massive celebration that will last almost two years, and will bring 50 new upgrades to Walt Disney World. These include new road upgrades, driver-less buses, and a few more smaller upgrades as well. The big thing is that it means tons of new attractions as well. But you know there’s also going to be huge parades, massive fireworks and so much more. When Disney throws a party, they do it like no one else in the world. Waterpark Expansions: Walt Disney World just opened the new Miss Fortune Falls at Typhoon Lagoon. However, they aren’t done yet. The park closed the Shark Reef encounter, and word is that they’re using the area to create a new attraction that will keep you close to the sharks you use to swim through. Blizzard Beach, on the other hand, is looking at expanding the Red Slope section of the park. It already has lots of land clearing, and tons of new construction walls up. Cable Cars: The Skyway Cable Car system is already under construction, with permits filed and work well underway…Disney just hasn’t announced it yet. We expect that Disney will announce the all new Cable Car system that will take guests from selected parks like Epcot and Hollywood Studios, and to different hotels. TRON: The big rumor right now is the Tron Coaster. The rumor is that it will take over the Tomorrow Land Speedway, and be a launched cycle coaster that takes you indoors and out. Huge new Parade: With the removal of the Main Street Electrical Parade last year, there’s no longer a nighttime parade. The rumors of Paint the Night going to Magic Kingdom are still alive, and that could happen, or it could be a huge new parade…perhaps a return of Spectro Magic? Wreck it Ralph: It’s been a rumor, but Wreck it Ralph was expected to take over for Stitch’s Great Escape. Though, Bob Iger said there would be no VR used as attractions…so we’ll have to see, but with the new movie coming out in 2018, and a seasonal operation for Stitch, the coin seems like it’s in the slot. Call this a long shot, but Zootopia could be coming to Animal Kingdom. Rafiki’s Planet Watch could get a makeover, and be turned into a new land with animals, walk around characters, a dark ride, and of course Zootopia food and merchandise. 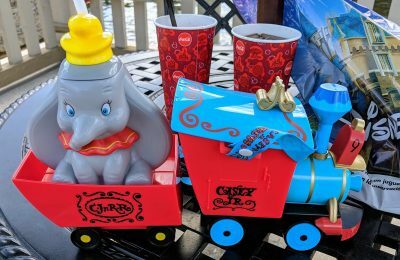 There’s even rumor for a sleek new AIR CONDITIONED train to replace the steam train, just like in the movie, only this one will have animals sticking out of it. The Great Movie Ride: TCM and Disney’s contract expires very soon. When that happens, there’s a good chance that The Great Movie Ride will go under the knife. There could be an announcement of what will replace it, namely a Mickey’s Great Movie Ride. Sources say that we could see Mickey and the gang interfering with Hollywood classics, like Mary Poppins, and there’s even rumor of a huge new Muppet section, with animatronic Muppets!! Toy Story Land: The coaster is well underway to being built, and there’s expectations that everything could be ready as soon as April. We hope to see an all new announcement about Toy Story Land’s opening date at D23. Star Wars: Like we said before, there’s hopes to see more details and a preview center for Star Wars Land. We should also get confirmation of what and when we will see the Last Jedi scenes added to Star Tours this fall. Overhaul Details: Yes, Epcot is getting a major overhaul, much like Disney’s California Adventure. That has been announced already, but we don’t know what, or when it will happen. Expect to see more details about that happening at D23. Illuminations upgrade: It’s one of the most popular nighttime shows in the entire world, but it’s starting to show it’s age. Illuminations is rumored to get an upgrade, we could see that as part of the new Epcot Overhaul announcement. Guardians of the Galaxy: Permits have been filed, and it looks like Ellen is getting the axe, along with Innoventions West. Guardians is one of the few Marvel properties that can be used in Florida, and Disney is looking to build a massive indoor coaster with it. The new coaster has been rumored for a while and is looking to make a huge impact at Epcot. Brave in the UK: There’s much happening at World Showcase in Epcot, but how much could we expect to hear about? Brave is rumored to be getting a new attraction in the UK. But what will it be? We have no idea. Ratatouille in France: A trackless ride system has been rumored for the France Pavilion for some years now. With permits being filed, it’s likely we could hear an announcement about it happening. World showcase is desperate need of new attractions, although the restaurants and festivals seem to keep guests coming in droves. Coco in Mexico: Pixar’s Coco is expected to be a huge hit. It’s only fitting that the massive film get it’s own attraction, and what better place to put it than in the Mexico Pavilion. Disney could overhaul the boat ride yet again, or they could go another direction altogether and completely gut the pavilion, and expand the ride system. Finding Dory Sea Institute: There’s a strong rumor that The Seas with Nemo and Friends could be turned into the Ocean Institute from Finding Dory. There will be new decorations, and perhaps a few new exhibits, but that’s about it. There may be a small chance….very, very small…that we could see the new Nemo Subs ride from Tokyo DisneySea, but don’t hold your breath. 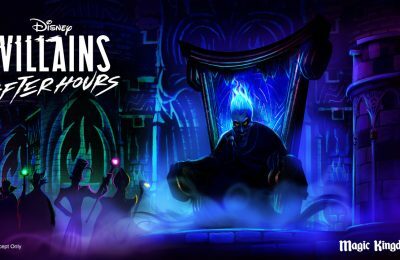 Guardians of the Galaxy Mission Breakout: With the success of the attraction at Disneyland, it’s likely we could see Tower of Terror rebranded and redone much like in California. It wouldn’t be surprising to hear the news happening in Paris from D23. With Ant Man taking center stage in a new attraction, we could hear more details and see some ride footage from the ride at D23. We could also hear about an opening date for the attraction. That’s all the hopes and rumors we have for D23. What do you hope is announced? What do you think of the rumors so far? For more information on tickets and D23 Expo 2017, visit D23expo.com.